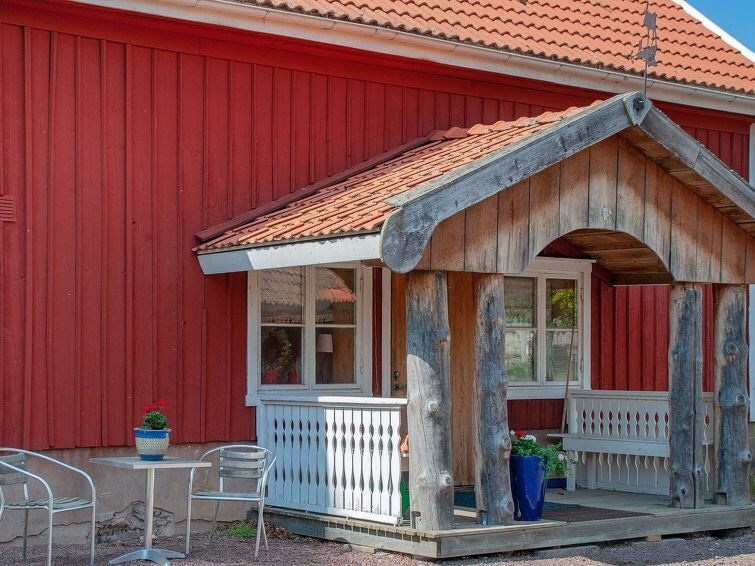 This idyllic holiday home is located on the farm Vretaholm Säteri, near Gränna. Perfect for those who enjoy farm life with cows grazing the pastures all around! The spacious holiday home has a lovely, natural garden and a small roofed terrace. On the bottom floor, theres a furnished hallway with comfortable leather armchairs. There are four bedrooms and two bathrooms on the bottom floor. One of the bedrooms features two single beds, the other three have one bunk bed in each. Altogether the house sleeps eight people. Each bathroom features a WC, a washbasin, and a shower. 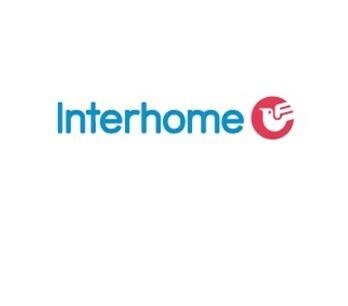 The kitchen area features all of the amenities you need, including a gas cooker and a dishwasher.The living room is furnished with a comfortable sofa suite and a wood-burning stove. Vretaholm Säteri has a clothing shop with quality brands. During the summer ( week 26-33) it is open all days from 11.00-18.00. Why not make a daytrip to the picturesque town of Gränna? Gränna offers charming little shops and restaurants. Gränna is known for its stripy, hard candy canes, “Polkagrisar”, and you can visit the small factory and see how they are made. From Gränna you can catch a boat to the charming island of Visingsö, where you can take a ride in a horse-drawn carriage all around the island. If you dont mind driving farther, Omberg is a great place to visit. Between Ödeshög and Vadstena you will find the ruins of the monastery Alvastra Kloster, set in beautiful surroundings right by the mountain Omberg. Omberg is well worth a visit for those who love walking in beech forests. 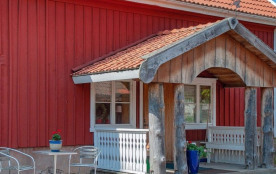 Please note that Vretaholms Säteri is a farm and therell be tractors, animals, and people on the grounds. Holiday guests are not allowed access to the barns or any other buildings. Jönköpings kommun - 8 pers.